Alan M. Garber ’77, Ph.D. ’82 (M.D. 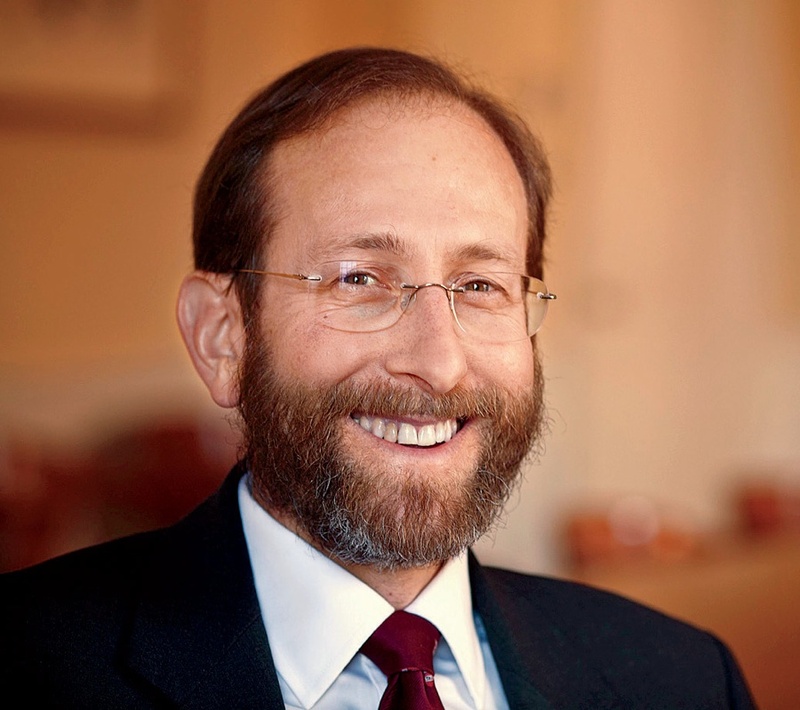 Stanford ’83), now Kaiser professor and professor of medicine and economics at Stanford, will become Harvard’s provost on September 1, President Drew Faust announced on April 15. Garber succeeds Steven E. Hyman, M.D. ’80, who has been provost since 2001; he announced last December that he would step down at the end of this academic year, in June. “I am humbled but extremely excited at taking this important position at Harvard,” Garber said during an interview at Massachusetts Hall (where he appeared wearing a vintage Harvard necktie). “I would be much less excited,” he said later, “if this was the Harvard I knew when I was a student.” The University of the 1970s, he explained, was extraordinary, “but the progress it has made since then has been nothing short of spectacular,” both in the caliber of the individual faculties and in the ways the parts of the institution work together; he gave particular credit to Hyman in effecting the latter gains. The disciplinary breadth is evident. At Stanford, Garber is professor (by courtesy) of economics, health research and policy, and of economics in the Graduate School of Business. He is also a senior fellow in the Freeman-Spogli Institute for International Studies and in the Stanford Institute for Economic Policy Research. He has directed both Stanford’s Center for Health Policy and the Center for Primary Care and Outcomes Research at the School of Medicine since their founding and is a staff physician at the Veterans Affairs Palo Alto Health Care System, associate director of the VA Center for Health Care Evaluation, and research associate of the National Bureau of Economic Research (NBER), in Cambridge, where he founded and, for 19 years, directed the healthcare program (responsibilities that brought him back to Massachusetts four times yearly, he reported). In an interview, Faust said that as she thought about those qualifications, a commitment to the University’s mission and values was central, as was personal compatibility. Beyond that, she sought someone with “a really wide range” of interests and curiosity about the broad spectrum of the University’s activities. It was “a high priority for me to find the right person with the first set of qualifications,” she continued, “and, if possible, in a different area from my own, with science as an example,” complementing her work as an historian. Garber is now a Harvard parent as well; he and his wife, Ann Yahanda (a nonpracticing oncologist), have four children, including son Daniel, a sophomore at the College this past academic year. At Stanford, Garber was elected to, and chaired, a committee “with no Harvard analog,” the University Advisory Board, which makes the final decision on all faculty and tenure appointments. That experience, he said, exposed him to “the work of tremendously talented people” who do “extraordinary work” in fields ranging from studio art to engineering to English to physics. That appreciation for how faculty members in different fields view their work should serve Garber well in one of the Harvard provost’s key responsibilities: leading the ad hoc committees that make the final decisions on appointments to tenured professorships—a role the president has now in part devolved. As for moving from the relatively centralized Stanford to Harvard’s legendary decentralization, with each school proceeding “on its own bottom,” Garber said, “The reality is that neither institution is at the extreme that’s sometimes portrayed.” Within research universities, he noted, organization charts aside, “in fact, leadership occurs by a process of persuasion and consensus.” Of late, he added, Harvard had shown “a much greater ability to work together” across the boundaries of schools and units. “It’s not so much about centralization as about what you can accomplish” academically, he pointed out, citing collaborations such as the Harvard Stem Cell Institute and the associated department of stem cell and regenerative biology. Turning to the environment for higher education, Garber acknowledged “threats to our traditional sources of funds,” particularly federal grants for research from the National Science Foundation and the National Institutes of Health. He also cited the growing breadth and excellence of universities in other countries, and the general economic “uncertainty.” In light of the latter, he said, “Every major university has to be prepared for all kinds of eventualities,” putting a premium on flexibility and nimbleness. Fundraising will be a priority, too. Garber’s involvement in Stanford’s capital campaign (now drawing to a close) was limited to that of a faculty member who spoke at events; he said he did not have an administrative role. Where he was involved, he found meeting alumni “enormously rewarding,” and he “very, very much look[s] forward to my interactions” with fellow Harvard alumni. Garber’s appearance on campus on April 15 immediately preceded the annual running of the Boston Marathon, an event in which he has previously competed. Citing the new provost’s roles as marathon runner, physician, and microeconomist, Zeckhauser said that Garber combines “the energy of the first, the bedside manner of the best of the second, and the understanding of resources of the third”—a broad and eminently useful set of characteristics for the challenges he now faces.